Skate shop Er-rol is the biggest of it’s kind in the north of Holland and the only core skate shop in Friesland. Er-rol was established in Oktober in 2008 by Errol himself who has been skating for most of his life and still does to this day. Er-rol focuses on the day to day skate industrie and it’s corresponding fashion. The shop profiles itself as a Skate-boutique making it an unique store that has it’s doors open for everyone out there and offering items that are only available in this kind of store. The shop offers you the opportunity to come by 6 day’s a week, it is open from Monday till Saturday and if you can’t make it you can still find what your looking for in the online shop. The shop strives to continuously update on it’s unique collection as much as in the skateboarding department as in the fashion sneaker department. 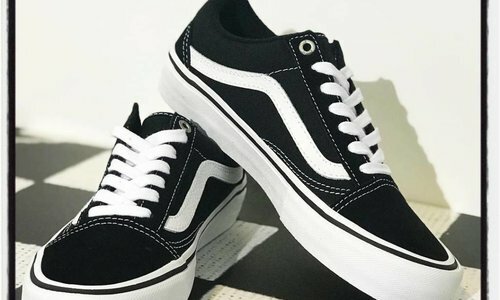 You can find all kinds of unique brands here such as: OBEY, Volcom, DC Shoes, Etnies, Nike SB, Carhartt, Brixton, Dickies, Santa Cruz, Vans, Adidas Skateboarding, RIPNDIP and much more. Make sure to stay up to date by following us on Instagram, Facebook or just check out our website. As always you are more then welcome to drop on by in the shop, we are always ready to answer any questions you may have. Skate shop Er-rol is specialised in all aspects of skateboarding and long boarding. It supports local talents and has been organising and sponsoring local events since day one. The shop also owns an indoor skatepark that is open a couple of days in the week.